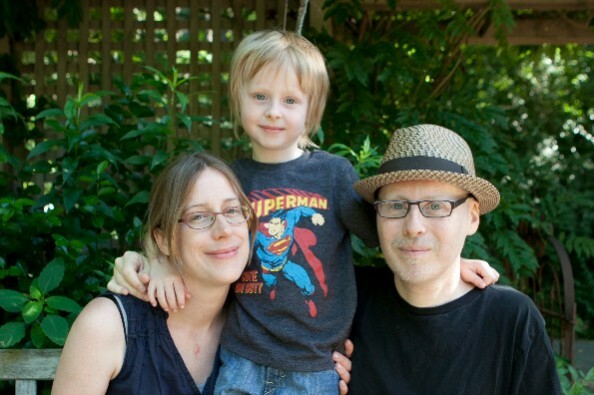 Seth Kushner - father to five year old Jackson, husband to Terra, photographer and comic book creator - was diagnosed with Acute Myeloid Leukemia with a FLT 3 mutation back in April of 2014. Seth spent seven months in the hospital, away from his family, where he underwent six rounds of aggressive chemotherapy and a bone marrow transplant, which doctors believed would be his “cure.” Unfortunately, his disease was too aggressive and he relapsed, and at that point Seth and his family were told he had only days to live. Seth’s leukemia spread and he slipped into a coma and doctors said he would die that day, but miraculously, and with the help of an alternative treatment, Seth woke up and just three weeks later his leukemia was gone. He was sent home to enjoy the company of friends and family. On May 17th, 2015, our dear Seth succumbed to his battle with cancer. He died in the comfort of his own home - surrounded by his loved ones. His departure was peaceful and painless. Insurance does not cover all medical costs and the money we are raising would help offset the Kushner family's medical bills and living expenses. Terra is still on a leave of absence from her job for over a year to take care of Seth and to deal with the aftermath of this tragedy. She receives only a partial salary, which helps, but does not cover all of the family's expenses. So, any help you can provide would be greatly appreciated. Why did I just get a notice of a refund? Sorry it's taken me so long to give again. So sorry to hear the news, Terra.